SCOTTSDALE – At this time of the year, it is hard to stroll through Old Town Scottsdale without spotting the Giants’ familiar SF interlocking logo. Old Town hotspots such as Coach House, Old Town Tavern and Cold Beers & Cheeseburgers sit just steps away from Scottsdale Stadium, the Giants’ spring training home, beckoning the teams’ fans for pre and postgame revelry. The short distance between the park and surrounding neighborhood hotspots hits on a theme that resonates throughout the Cactus League. 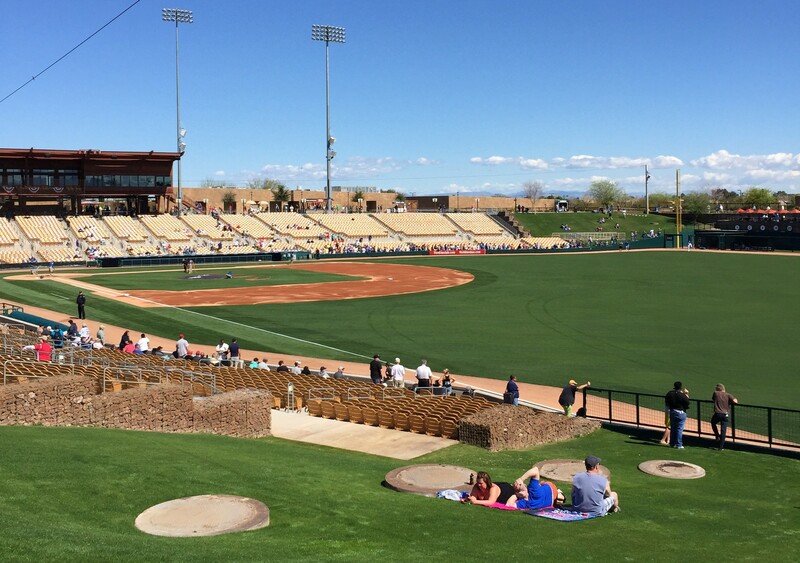 Proximity is a focus for Cactus League stadiums, both in terms of fans being close to the action and the entertainment that lies close to a park. Closeness and intimacy are a big part of the draw for Tempe Diablo Stadium, built in 1968. It’s 9,315 seats lie in a bowl that is almost on top of the action. While there are several new facilities across the Valley, having an older stadium is not necessary a detriment for Cactus League parks. There is a nostalgia that goes with an old park, as well as a belief that older parks provide a more intimate view of a game. Cesaretti believes that Scottsdale Stadium, built in 1992, benefits from the same aspects as Tempe Diablo. For Camelback Ranch, and many of the other Cactus League facilities, proximity is a focus that extends to the practice fields. The spring home of the White Sox and Dodgers encourages fans to come to workouts, where they can get as near as possible to their favorite players. 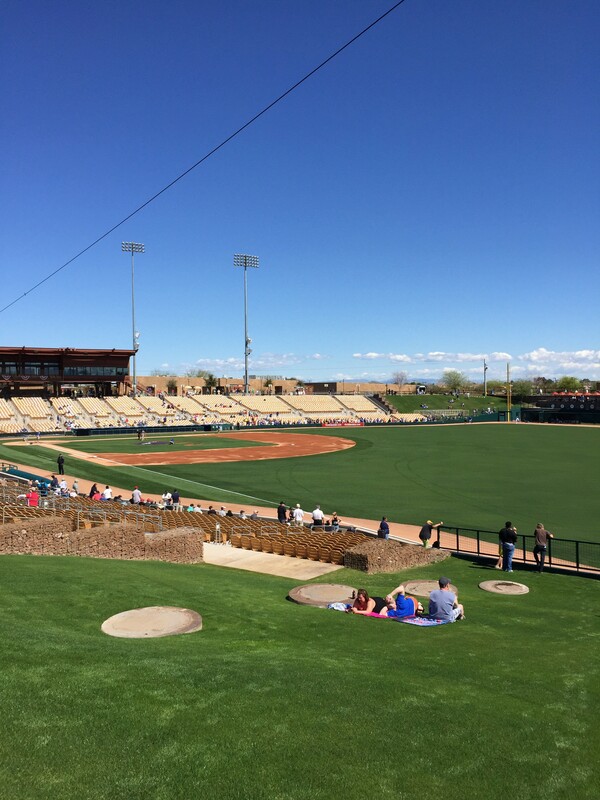 “I think you’re as up close and personal with athletes here as you are at any other sports facility,” said Matt Slatus, Director of Marketing and Corporate Partnerships for Camelback Ranch. Whether fans want to be close to the players or right next to their favorite restaurants and bars, it seems as though Cactus League ballparks are doing their best to grant fans their wish. Camelback Ranch has been the spring training home of the Los Angeles Dodgers and Chicago White Sox since in opened in 2009.